X'Press-U-Veyor is White Conveyors high value, spiral track monorail and is the simplest, most cost-efficient way to move items through any plant. Flexible vertical & horizontal bend sections let the X-U-V path follow your design needs. Spiral groove track moves items smoothly, quickly, quietly; with loading at any point in the system. 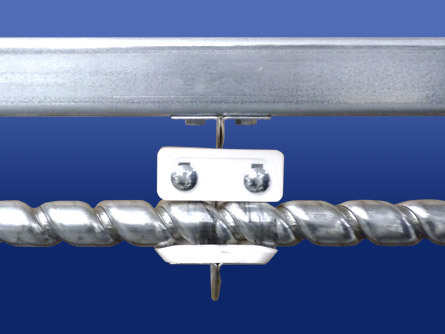 Continuous Spiral Track with built in groove, no wires to break or wear out. Direct Power Drive turns spiral in place, moving items down the line.